"We loved our experience at your camp last summer and I was so excited to sign my son up and get him a spot for two weeks for this summer! We tried our city's local version of a rock camp last semester and we were disappointed. Your camp was so well-run and so well done that this other program just didn't compare. You are a rockstar and a class act for organizing your camp the way you do." "Thank you for allowing my daughter to be a part of your great program. You have, hands down, the best activities we have been to in Atlanta." "Camp is a great place for kids to push their skills to match their love of music, it really helps motivate them to practice and play all year long. I'm always impressed to see how many musicians work with different instruments and how much the kids learn in your camp, how high the standard is. The kids do not outgrow the program but keep coming back, year after year. Really one of a kind. Also I love that they are working with their instruments and voices so directly -- without the automation that you hear in so much rock and pop music these days. The live shows are so much fun." "Just wanted to let you know that we went to a [another summer rock camp] show last week- supposed to be their "house bands" or "best of the best" and I was less than impressed. We came away realizing how very, very lucky we are to have you and the group of instructors with Atlanta Rock n Blues camp. I think you all do a much better job- the kids sound so amazing." "Our daughter had an incredible experience and I honestly can't believe how much the kids progress over the week. The Friday night show blew us away - seriously. That's some magic!." 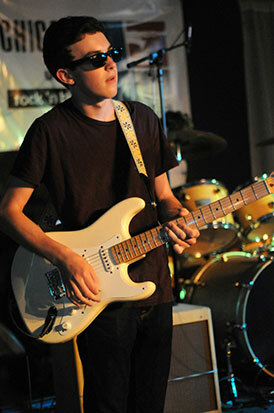 "After spending just one week at Rock 'n Blues Camp, my son gained confidence, maturity, and even a little grit. I knew when I signed up my child for summer camp, he would have fun. However, I didn't expect to see him grow so much from the inside. My son is smaller than the average. He can be extremely shy. But when he's behind the drums -- he's a whole other kid. He's a rock star. So, I thought, since he loved music so much, and he's a pretty decent drummer, Rock 'n Blues Camp would be a good fit. But could my son keep up? Could he understand everything that was asked of him? Could he be an asset to his band? The answer turned out to be --YES! As I watched the staff at the camp I noticed right away that when they talk to kids, they talk to them like they're adults. And they, in turn, respect them. We could see that everyone- both staff and campers -- works hard, strives for perfection, and thoroughly enjoys making music. What I admire most about the staff at the camp, and believe me there's a lot to admire, is their patience. I say that because I saw them do something for my son which is not that common- they listened to him without interrupting him, or trying to finish his sentences. My son sometimes has difficulty saying what he wants to say. But they never rushed him. They waited until my son finished what he wanted to say before responding. This is huge to us. So, thank-you Rock 'n Blues Camp for a fantastic experience. Can't wait to see what happens next summer! In the meantime, we are signing up for private lessons." "Grown ups love it too-- a great program; one of a kind." "Thank you, Mz G, so much for teaming up with the other instructors and creating this awesome camp. I know I would never have been the same bass player without it, and I'm so grateful to have had the opportunities to go there. 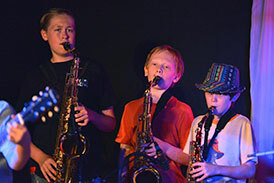 Rock 'n Blues Camp definitely helped me become a more professional musician, and by extension, my band. I appreciate all the effort you and other's put out to teach us young'uns how to be real, professional, prepared musicians, and I hope you realize how your camp has changed all of our perceptions on being a musician and being a member of a band. When I have band practice with Forje or we have a gig, I often think about how much of my knowledge and musicianship I've learned as a result of RBC (coming prepared, looking professional on stage, putting on a good show, etc..), and about how I might not even be in a successful band if it wasn't for your awesome camp. So thank you for being an amazing camp director and thanks to all the counselors who volunteer and give their time to teaching not only music, but being a musician." "We've just fetched our son from the airport, and he had so many things to tell us about his two weeks in Atlanta with a big big smile! He spent two memorable weeks at Atlanta Rock 'n Blues Camp. You all have been really welcoming and he felt immediately comfortable and happy! He loved the camp, the organization, he was very impressed by all the talent and said he had never seen such amazing music players/singers . He learned a lot and also became very good friends with the other guys! I am very happy that your camp reinforced his passion for playing guitar, he told me already that he would love to come back next summer and if so, we will definitely come along to hear him in person and also we will be very happy to meet you all." "You all do a great job with these kids. You'll never know how you have influenced their lives, but rest assured they all walk away having learned some beneficial life lesson." "This camp is the reason I can play the bass. I would have never really picked up the bass if I hadn't had the goal of playing it in this camp. All the counselors and students are amazing as musicians and amazing as people. This past week was exhilarating and I had such a fun time. Thank you." "In her first year at camp, my 12 year old guitar player and reluctant singer was so shy about her singing that she could hardly be heard on her first song. As the weeks went on, she got more and more comfortable singing because of the awesome encouragement from Ms. G and everybody else. In this her second year, the singing was no sweat. Yay! Since after her second session of camp this summer, she has been playing her guitar for fun almost every day. Sometimes I have to interrupt her so she can do her homework. She is playing inspired guitar, like never before. Thanks for helping her see where all of this work and fun can take her." "You have delivered a new chapter into my daughter's life, and I am grateful, very grateful. I need to learn how to keep my daughter connected so she can perform with you guys from now until. I am a big fan. When ever I can help, and I am free, I belong to you guys!" "I want to thank the staff for making Session 5 such a great one for our son. He absolutely loved the camp and talked about it all last week! I think he was amazed at his ability to hang with an actual band, especially since going in he was very nervous that he was too inexperienced. We really enjoyed seeing him perform and appreciate all the work that went into pulling together the Friday night show. It was amazing! Thanks again for everything." "You have delivered a new chapter into my daughters life, and I am grateful, very grateful. I need to learn how to keep her connected so she can perform with you guys from now until. I am a big fan of your other campers and teachers as well. When ever I can help, and I am free, I'll do whatever you need. I belong to you guys!" "You have done a great job with the camps. Thanks for all your hard work and personal assistance for my family. My daughter has been on her guitar every day this week. That is unusual. She is starting to envy those with better guitar skills and realizing it's a matter of putting the time in, to a large extent. I'm so grateful for the inspiration that your camp provides." "My son had a great time at camp! This is an awesome experience! Thanks so much and see you next year!" "Our daughter had a great time at camp last week and we are already planning to come back next year. We believe that a school is only as good as its teachers, and the instructers at Atlanta Rock 'n Blues Camp are outstanding. 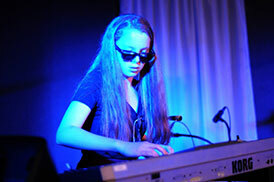 We have always believed in our daughters musical abilities, now she does. Thanks"
"I cannot thank you and your entire staff for such an amazing week. Everyone was so energetic & positive--just the type of people we like to surround ourselves with. Our daughter found such inspiration from everyone there, campers included. All in all, such a cool bunch of people and we were so happy to be a part of it. With that said, last night was bitter sweet. Hearing you say, "We'll see you next summer" made us all think, we cannot wait until next summer!!!!" "Great camp. Everyone so genuinely wants to see the kids' skills grow. Fantastic staff and experience." "Great show last night. 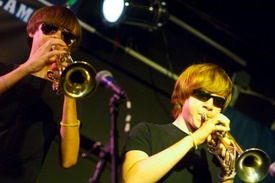 So cool to see the kids play and get better and better with every show." "Great night to close out the summer at Atlanta Rock and Blues camp. I am so grateful that my kids and our family are part of the ARBC Community. What a night! What a summer! Thank you Micki, and all of the counselors!" "I just want to let you know what a great time Parker, James and Griffin had at camp this past week, especially Parker since this was his first year. It was the best week of the summer for him so far! I don't think there is a chance anything will surpass it. Thanks for all the hard work during the camp. We all appreciate everything you guys do for the kids!!!" "Thanks to the whole staff for making this such an awesome week for Max and all the kids. He can't wait to come back next summer!" "We really enjoyed the show on Friday. I am always amazed at how great these kids perform after only playing together for 4 1/2 days. That is a true testament to the quality of the camp and the counselors working with the kids. Our son is excited for his other two sessions." "Awesome show tonight... Terrific staff... Talented kids... Happy parents"
"Great concert last night! We loved it!" "What a GREAT night of music! Did they all really learn those songs in five days? Wow. Thanks to Micki and the rest of the amazing staff...our kids will be back for more!!" "I just wanted to thank you for a great camp experience for our son. I believe he learned a lot and had fun! It's so inspiring to see so many young musicians out there and their potential! We'll definitely be looking forward to next summer!" "Can I just say that show totally rocked?!!! It was really amazing. " 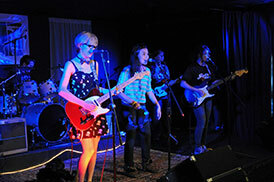 "We were very impressed with how well all of the bands played. They all sounded great! It amazes me how quickly these kids can learn four songs and then perform them live. The whole staff at that camp should be commended for running such a great program." "My boys love your camp. You do an amazing job with the kids and I will be sorry when my boys age out. As a family we look toward to the concerts. Thanks for all you and the staff do for the kids." 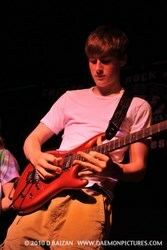 "The Rock 'n Blues Camp was amazing! Each and every student learned to dream with abandon and fall in love with many types of music. The experience of working together as a band, writing music, and being unconditionally embraced by these talented teachers will forever be a warm memory in their hearts." " …the highlight for me was when I saw my son playing guitar solos onstage in a band. It brought tears to my eyes when he started playing the solo to Sunshine of Your Love. It was beautiful to me, and I was awestruck that my son could do it, much less perform it." "The biggest benefit [my son] got from camp came in his attitude about himself. He has become much more confident and has taken on leadership roles in other activities because he was allowed to prove himself at your camp." "It was unbelievably moving and rewarding to see my son on stage performing. It was clear that his talent, his excitement, his pride all came from him. I was amazed at how much he learned, how much fun he had, and how good he was!" "Atlanta Rock and Blues Camp is one of those amazing resources that makes you feel prouder of your community. And I can't imagine anyone being better at running a music camp than Joe and the rest of the teachers there. They've raised the bar in terms of professionalism and attitude -- I doubt if you could find a group of musicians who have as much talent, professionalism, energy and joy to share with children." "What was most impressive about the summer camp experience, aside from the terrific jam session at the end of the week, was the mutual respect between teachers and students. It was as if everyone shared in the experience of making music--and everyone walked away from it feeling a little better about themselves." " Our son, never having sung before, confidently sang lead vocals on a couple of selections. This was a big achievement for this somewhat shy, quiet teenager and he had a smile on his face for days afterwards. " "We were very pleased with the camp, especially the communications to us, the parents. Our daughter also wanted me to put her two cents in. She said it everything was well organized and liked that the camp has structure, but still allowed freedom. Also, all the teachers were very helpful." "Again this year, my son finished his camp time wishing for more! He attended two weeks and was happy everyday. We are delighted with your growth, and know you more than deserve it." "Our son loved camp and wants to do it again. The music that was produced in such a short week was amazing." "From my perspective as a parent, my son said that this was "the best camp ever" and more importantly came home each day telling me all the new things he had learned and how much fun it was. Next year he said he wants to do two weeks! This has been a great experience for him and I want to thank all the people involved." "Our son still hasn't stopped raving about what a wonderful time he had!!! Of course he has not stopped playing the guitar either!!!" Question: What did you like most about camp? "Just playing music with friends." "Jamming and the ‘dry runs.’"
"The location and the opportunity to be with others who love to play rock." "It wasn’t cheesy like some other guitar camps." "How I learned a lot of new stuff." "I liked most that I got to work on singing and got a lot better." Question: What did you like the least? "That you can only do one week at a time." "Everything was fine, I did not dislike anything." "Lunch, ‘cuz we weren’t ROCKING!!!" "It was cool. I liked camp a lot." "It was good to be in a band where the musicians don’t get into fights." "I liked learning new songs." "It was awesome, I learned a lot. Can’t wait til next summer. I wish it was longer." "I loved it. I’m soooo glad I came!" "It was awesome. I’ll be back next year."